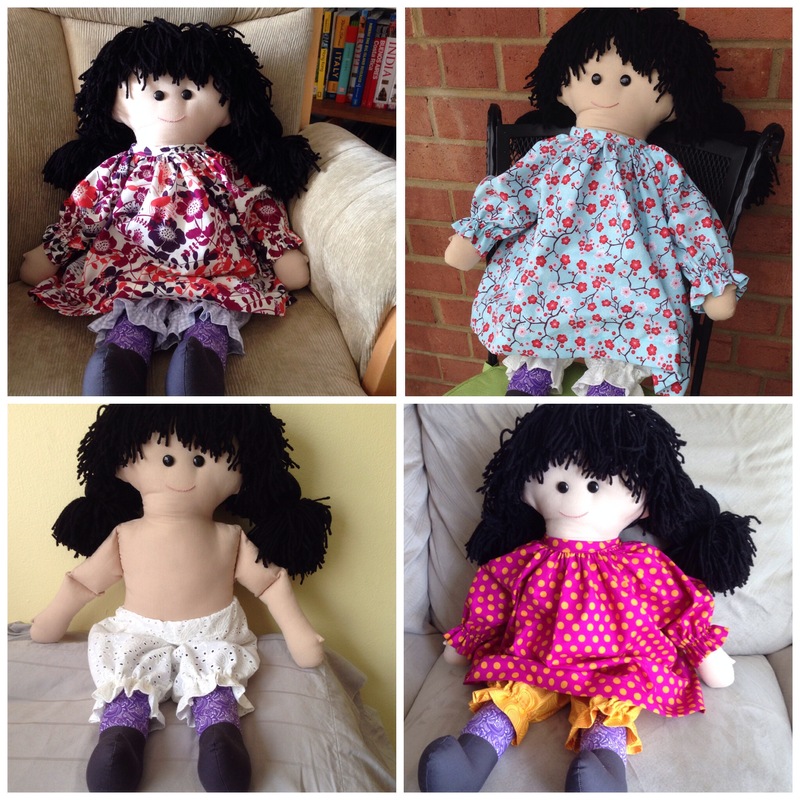 Some of my earliest sewing (and hot gluing) projects were clothes for Elise. My sister and I created a doll suitcase out of a gutted casette tape holder. We loved the dolls and still have them–only a little worse for wear. 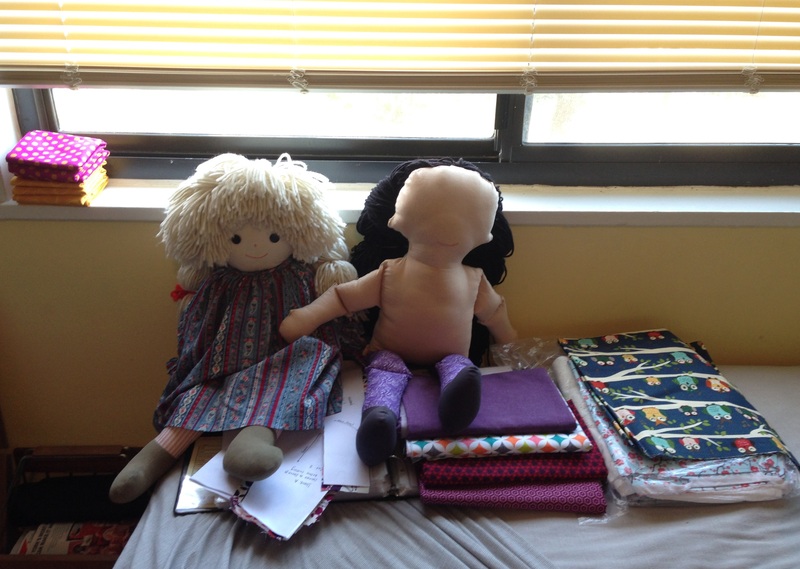 Remembering how much I loved my own doll, I wanted to make a doll for my friend’s daughter–the same girl who received the first quilt I ever made and the Sunday Brunch Jacket. I scoured the internet for a pattern. None of them seemed right. I concluded I didn’t just like having a doll, I liked having the specific style of doll I received from Carol–not too big, not too small, and cuddly. I had to make that doll. Fortunately, my mom was able to help me create a similar pattern. I bought the materials when my friend’s little girl was born… two years ago this Easter Sunday! But I was too scared to start. I was especially worried about sewing the hair. For one thing, my mom’s pattern didn’t have a seam in the back like Carol’s did, and Elise had yarn hair sewn into the back seam. For another, I wasn’t certain exactly how much hair (yarn) would be needed. And I was scared the yarn would be difficult to distribute evenly. What if it was thin on top and bunched at the nape of her neck as I worked my way down the seam?! It wasn’t as bad as I expected, but I will say I have an even greater appreciation for the doll Carol made me after trying to make one of my own!!! I definitely learned a few tricks in the process. And she looked like Frankenstein in the process. One of my favorite things about the doll I got from Great Aunt Carol was the number of outfits she had. She could be dressed for tea one moment and wearing pajamas the next. I knew I wanted to make several outfits for this doll, too. My favorite is the pair of pantaloons made out of a lacy material. 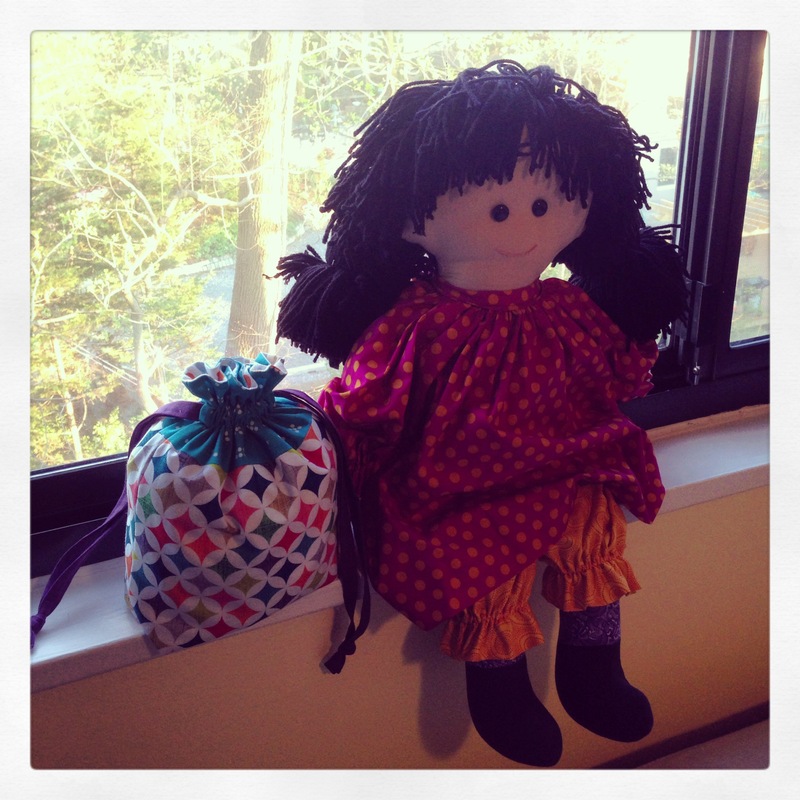 I also made one of Jeni’s drawstring bags to hold the extra doll clothes. She was gifted wearing the outfit most like a salwar kameez. My friend’s little girl scooped the doll up to give her a big hug right away. She “changed the doll’s diaper” (pantaloons) and wiped the baby with a baby wipe. Then she put the doll on a chair, realized it was as big as she was, and got scared, haha. 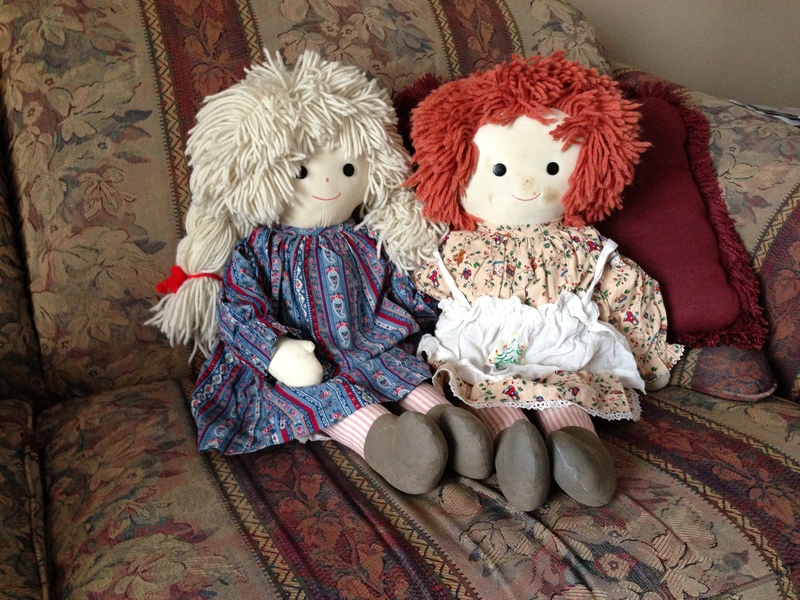 Did you have a favorite doll, or do you have a favorite doll pattern? 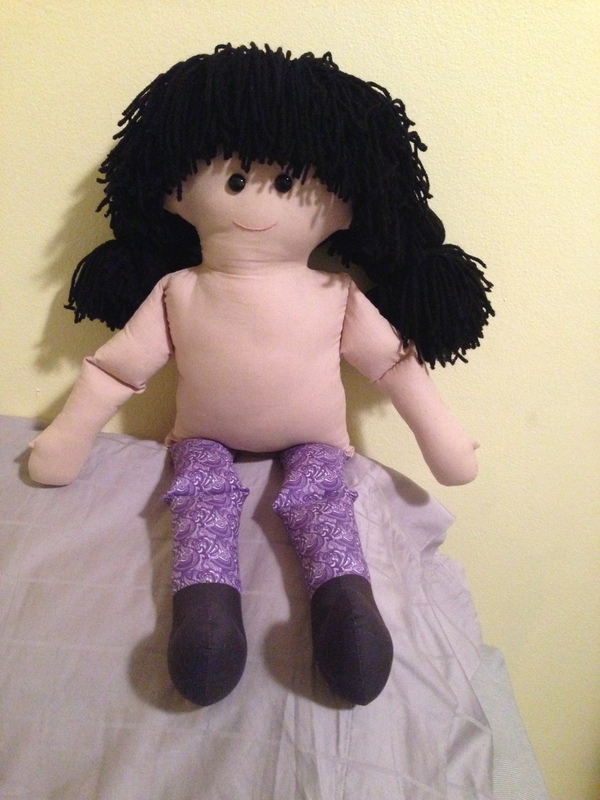 Little girls seem to remember their favorite childhood dolls, so I hope this will be a happy part of my friend’s sweet little girl’s childhood. 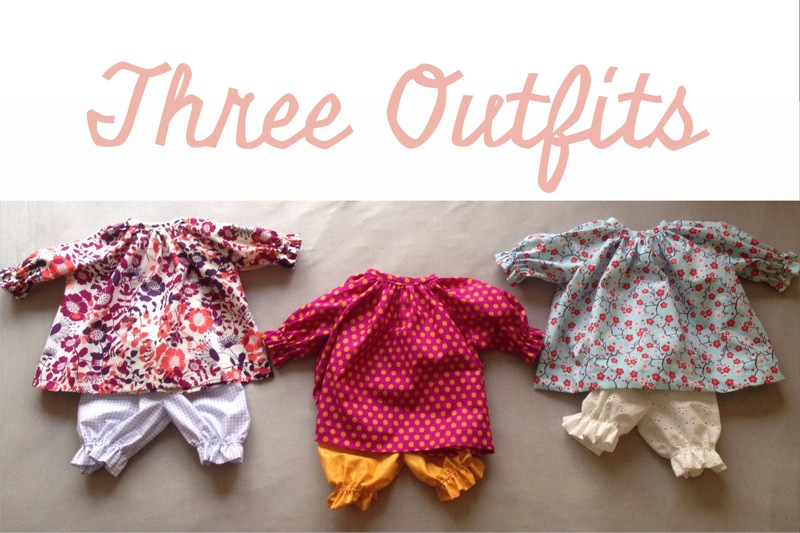 Categories: Other Sewing | Tags: brown doll, button eyes, Christmas, doll, doll clothes, doll hair, doll outfits, doll salwar kameez, doll shalwar kameez, doll suitcase, drawstring bag, drawstring pouch, easter, embroider, embroidered mouth, embroidery, free drawstring bag tutorial, free drawstring pouch tutorial, gift, hair, indian doll, lined drawbstring bag, rag doll, salwar kameez, sew, sewing, sewing a doll, shalwar kameez, yarn | Permalink. Happy to see “Elise” still has a place in your home!